WhatsApp end-to-end encryption: WhatsApp, the world’s popular and largest instant messaging service has rolled out full or end-to-end encryption for its 1 billion users across all devices, including iPhones, Android, Windows, Blackberry and Nokia phones. 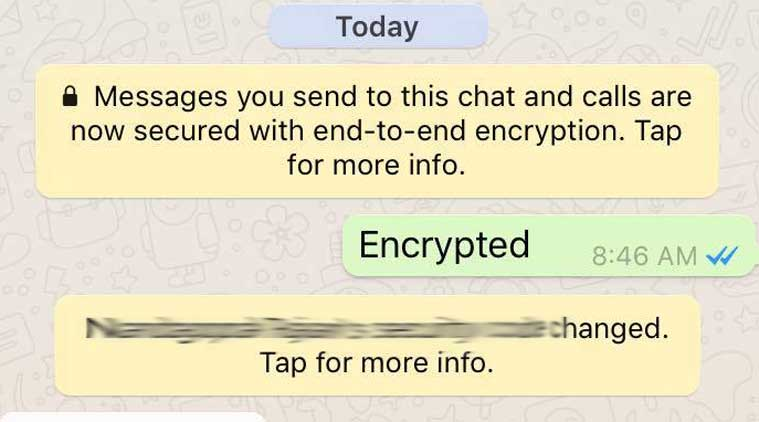 By default, WhatsApp is now end-to-end encrypted at all times. The latest update which is rolled out ensures that a user who sends messages, photos and videos over WhatsApp can’t be read by anyone else, including WhatsApp employees, cyber-criminals, and even the law-enforcement agencies. This means that no one else except the sender and receiver of the message or call will be able to access their contents. Even WhatsApp calls and group chats of every individual user will be encrypted. Enable WhatsApp end-to-end encryption now as follows. The new full encryption update is announced by the co-founder of WhatsApp namely Jan Koum via his Facebook page, stating that the company has been working on the feature for the last couple of years. At the same time, it portrays the intensification of a trend toward universal encryption that has posed challenges for law enforcement in the United States and all over the world. Once communications with a user are encrypted, the WhatsApp client will then notify the user and decline to send any unencrypted messages, addressing past concerns that the system might be exposed to a downgrade attack. Recently, WhatsApp has rolled out new updates like text formatting and document sharing for all its users. It is quite a good news for the WhatsApp users on all platforms but, what exactly does the end-to-end encryption mean and how does it work in WhatsApp? Let me explain you all these in a detailed way in this article. Just take a look at the detailed description and get to know how to enable it. Check it out! 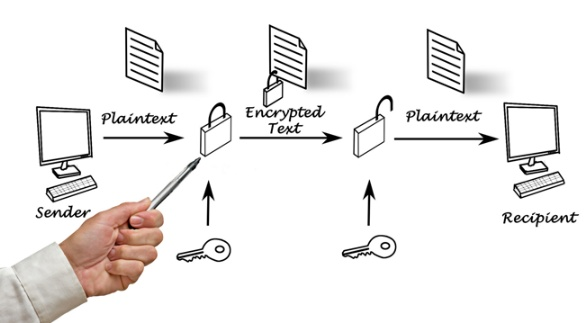 End-to-end encryption is a secure method of communication wherein the people who are communicating can only have the ability to access messages sent. Eavesdroppers, such as cyber-criminals and hackers, Internet providers, telecoms or government officials will not have any kind of access to reading others communications. Even the company that built and runs the service cannot access messages, and therefore, cannot easily collaborate with authorities who request these exchanges. What is WhatsApp End-to-End Encryption? WhatsApp had earlier encrypted its services to some extent, for instance, its text messages have been encrypted since November 2014. Despite, it has spent the last couple of years working with nonprofit software group called Open Whisper Systems, rolling end-to-end encryption out across WhatsApp on every single platform on which it is available and for all sorts of communications. You should get a message in the messaging app today, notifying you regarding the mass rollout. How Messages are Encrypted on WhatsApp? Here’s the detailed description on how messages are encrypted. Once a message is sent from the sender, the clients will then exchange messages that are protected with a Message Key using AES256 in CBC mode for encryption and HMAC-SHA256 for authentication. The Message Key alters for each message transmitted, and is transient, such that the Message Key used to encrypt a message cannot be restored from the session. It also says that calls, large file attachments are end-to-end encrypted as well. Note: The ever-changing message key can mean a delay in some messages getting delivered. 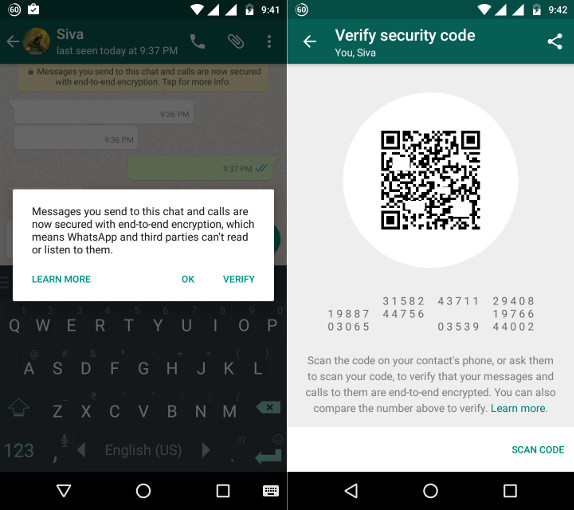 How to Enable WhatsApp End-to-End Encryption on your Device? 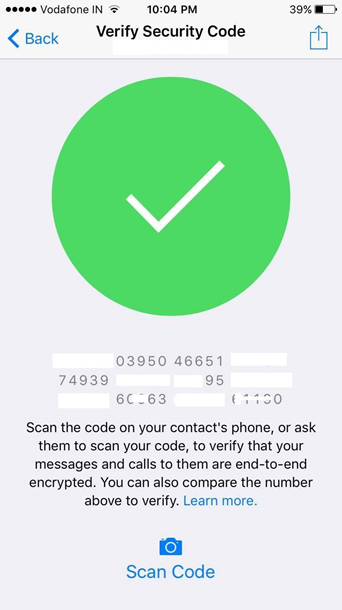 Once you tap on the message, WhatsApp has a pop-up menu display on the screen describing what exactly end-to-end encryption means. Users can then verify if the encryption is working as well. If a user taps on verify, they will taken to a page with a QR code, followed by a string of 60 numbers. If your friend is nearby, just take their phone scan the code from your phone (You can view the option at the bottom of the same page) and if the QR code matches, then the chat is encrypted. You opened “Verify Security Code” for the wrong phone number. Open it for the correct number to verify. Users can now begin a secret conversation to enable the feature on WhatsApp at all times. Remember that, users don’t have the option of switching off end-to-end encryption. Users need to be on the same versions of WhatsApp to ensure that their chats get end-to-end encrypted. The latest update will not affect how you use WhatsApp on a daily basis. It means that it will be much more challenging for WhatsApp to render law enforcement or other governmental officials copies of any of your communications, even if requested by warrant, because of the robustness of the encryption. WhatsApp is one of the most secure ways to communicate electronically via the end-to-end encryption. The ultimate outcome of the latest update is a powerful security for WhatsApp users, and possibly a template that could be applied to other services working ahead. Open Whisper’s protocol states that over a billion monthly active users across the world are now using the Signal Protocol for end to end encryption. The new update is rolled out to all the WhatsApp users on various mobile platforms including Android, iOS, Blackberry, Windows and others. 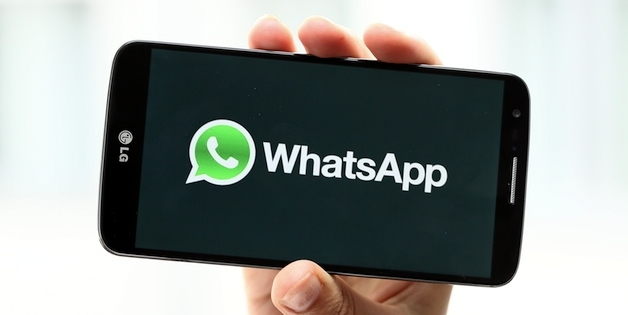 Check out whether your WhatsApp messaging app has got this latest update! 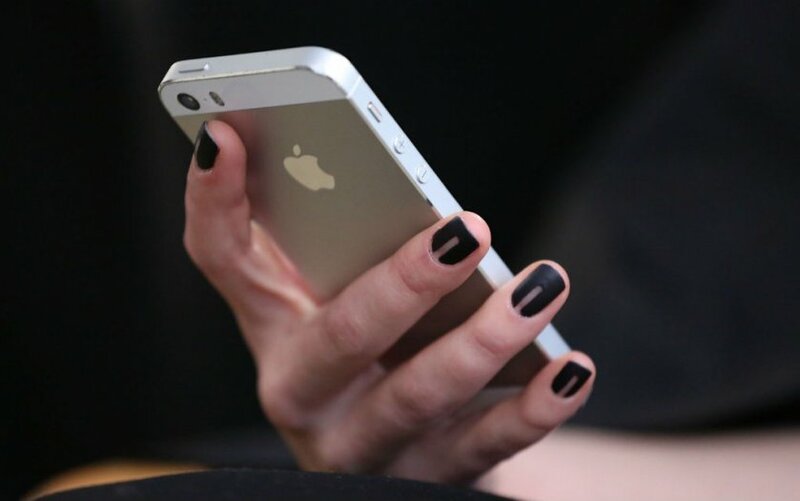 A mystery text message which can crash iPhones due to a bug with Apple’s operating system is also having the same effect when the message is sent via Twitter and Snapchat. 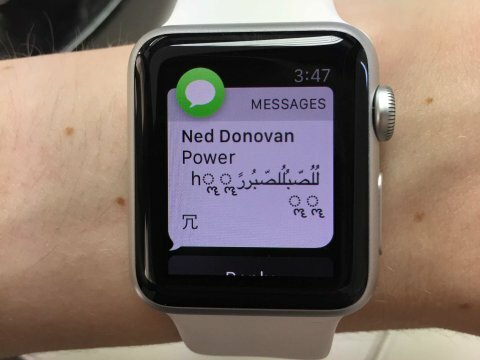 The bug, which causes Apple’s text handling system to choke on certain characters from Arabic, Marathi and Chinese crashes the iPhones, iPads, Apple watches and Macs to shut down if it’s sent via a direct message or public mention on Twitter’s iOS app(via The Guardian). The issue through the iOS messaging apps was discovered after tests by the Guardian and security researcher Mikko Hypponen. The bug — which was discovered by several users on Reddit — requires a specific string of text containing Arabic, Chinese and Marathi characters to be sent. The receiving iPhone will then crash upon receiving the message and reboot. Users that receive the text through the iPhone’s messages app need to perform a workaround to gain access to the app again. The bug, which was originally identified causing crashes on iPhones, has now been shown to also affect the Apple Watch, causing it to crash when attempting to reply to the offending message via voice using Siri. The text message has also caused iPads to crash, and reportedly can affect Mac laptops and desktops too. The crash is caused by a bug within a core system common to all of Apple’s devices that handles text. Mac users are less likely to be affected by the bug – sending the string via iMessages did not trigger a crash in the Guardian’s testing – but those using the Terminal app to access resources across the internet should be aware that it could be affected if exposed to the text string. Snapchat reportedly experiences similar symptoms, according to the Guardian. But in International Business Times’ tests the app crashes immediately when the text is pasted into a chat window. In Twitter, any direct message or public mention that includes the string of characters will cause a recipient’s phone, with notifications turned on for Twitter, to crash immediately. When sent a text chat with the offending string, it permanently crashes the iPhone when the user attempts to read it. The bug means that the user cannot open their chat history with the person who sent the message without crashing their iPhone. The message cannot be cleared, but other messages can be sent to and received from other contacts. The company promises that they “will make a fix available in a software update,” but a time frame for any such fix wasn’t given. Given that third-party apps are now becoming affected without as clear of an easy fix, Apple will probably try to put that update out as soon as possible before more permanent damage befalls any users..
iOS, Android or Windows Phone. Which is Better? Here is a look at the new spot at each of these platforms offers us. So, you get points to Compare and define which one fits your needs. So, let’s see iOS or Android or Windows phone. iOS is known for being a friendly and intuitive operating system, with 1.2 million apps in the App Store. The improvement from the iOS 7 is lower, but helped in improving of user experience. These are some of its advantages. One of the highlight of the Apple family is that its ecosystem works perfectly. IPad, Mac, iPod, iPhone and Apple TV communicate with each other smoothly. iOS 8 takes this integration to a new level. iOS 8 lets you to make and receive calls from an iPad or from a Mac. The condition is compatible with iOS 8 and are connected to the same WiFi network of the iPhone. iOS 8 includes a feature that allows users to share applications, songs, movies, books and podcast, among others, with other family members. Each family has an “organizer” who will add you or delete members of the group and makes the payments for the contents. 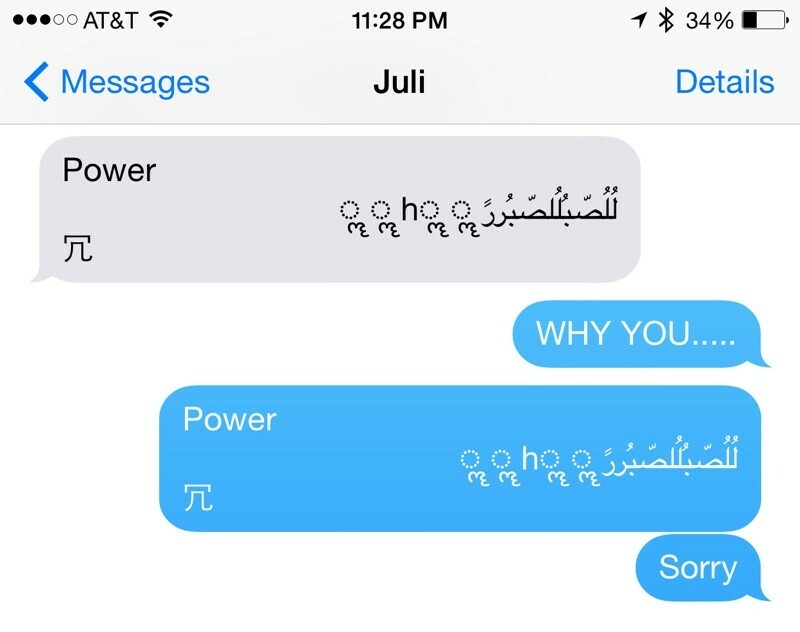 The iMessage messaging system only works in the Apple universe. Now integrated with other devices and allows to send voice messages. An advantage of iOS is that it is very safe. According to Kaspersky Labs, 98 percent of malicious codes are created for Android. Less than 1 percent affects Apple platform. This reflects, in particular, for two reasons: the controls exercised by the apple app store are very rigorous and is a closed system, which hinders the creation and spread of viruses on this platform. This will be your biggest change. It is an interface called Material Design (Design Material), which is at 60 frames per second, with layers and shadows in high definition. It gives the user a feeling of operation that is never felt nor seen before. It is very fluid, natural and showy runs, looking very surprising. 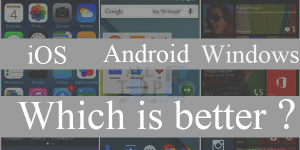 It will be the biggest redesign of appearance in the history of Android. It includes new customization options too. The new operating system from Google, which is in line with names related to the goodies so called as Lollipop (Columbian) code – mimics the Chrome browser to provide a display of running applications. By clicking the icon ‘recent apps’ get a deployment tabs to jump from one to another, closing, etc. Lollipop integrates ‘Volta Project’ say the next big thing to improve energy autonomy of mobiles. This feature helps developers to optimize energy consumption of their apps. It also includes a battery saving feature that promises to extend the duration to 90 minutes, compared to the current Android. The function of multiple users incorporates several improvements. With the mode of ‘guest’, or by creating or profiles, it is now possible that your phone or tablet with multiple user accounts that protect data, apps and content of each. Copying iOS, but improved. With the new setup wizard is much easier to retrieve user information, such as Google and mobile applications when you change a new one. Take your old phone or tablet, turn on the NFC, turn on your new phone, move them closer and ready. All your settings, accounts, data, etc., from one side to another. It is very simple to transfer your data from old mobile to new one. One improvement that allows windows phone for better manage and control the system notifications: emails, messages, missed calls, trills, social network updates, easy and handy. Very similar to Android (unfold sliding the top of the screen down), now include access to specific functions of mobile as networking and connectivity, among others. It is now possible to shoot burst style and add multiple ‘ apps’ for editing photos and videos, in addition to those already brings factory equipment. Along with Carl Zeiss optics Nokia has on their computers, Windows Phone makes it one of the best phones to take pictures and videos. From this year, developers have the ‘Universal App’ function, which allows you to create programs that run on any computer ecosystem Microsoft (Windows Phone, PC, tablets and Xbox One) , much like iOS, which means that you will see on your computer, console and mobile, the same application, no matter from which device you downloaded. A function that has sparked controversy, but is quite useful. You should not be looking open WiFi. Windows Phone does, and is automatically configured when ‘hears’ a network for public use, leaving the mobile connected without intervention of the person.